He was born in Tudela in the province of Navarra, Spain, in 1937. He obtained his architectural degree in 1961 from the Architecture School of Madrid. 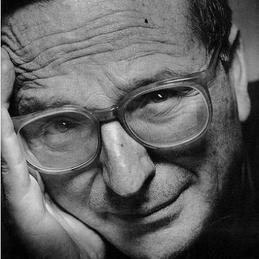 As a student, he worked for Oíza and in 1962 for Utzon. He was awarded a Fellowship to study in Rome from 1963-65. After becoming a professor in the Architecture Schools of Barcelona and Madrid he was appointed Chairman of the Architecture Department of the Harvard University GSD. In 1991 he was named Josep Lluís Sert Professor of Architecture at Harvard University GSD where he continues to give classes. Rafael Moneo combines his professional activity as an architect with that as lecturer, critic and theoretician. His book Theoretical Anxiety and Design Strategies in the Work of Eight Contemporary Architects was published in 2004 and Remarks on 21 Works in 2010. Rafael Moneo, Académico Numerario of the Royal Academy of Fine Arts of Spain since 1997, has been awarded numerous distinctions among them the Pritzker Prize for Architecture in 1996, the Royal Gold Medal of the Royal Institute of British Architects in 2003 and the Prince of Asturias Prize in the Arts in 2012.